Flowers and fruits: Flowers are large and purple, with many stamen arranged in a ring, few in number. From March to June, when they are mature, a few flowers can easily be found on ground beneath adult trees. Fruits are round, green, hard, larger and heavier than a baseball. Inside are a few large seeds. The fruits often remain on the ground for weeks, rotting and collecting mold. Agoutis eat the seeds, but they also bury some for later use and thus serve as dispersal agents. How to recognize: The long leaves in a single cluster at the apex of a large branch or trunk are unmistakable. 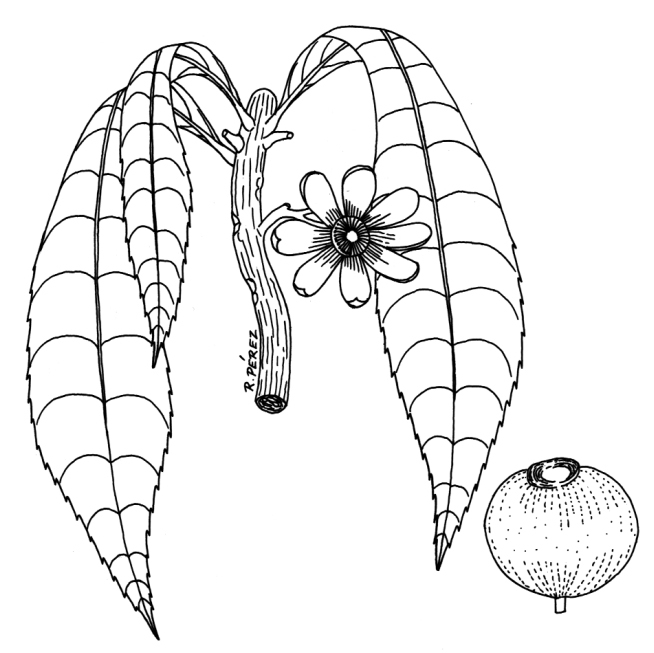 In the center part of the isthmus, there is just one other species that is similar, Cespedezia macrophylla. The two species are unrelated, and have completely different flowers. But without flowers they are easily confused, and both are common along Pipeline Rd. 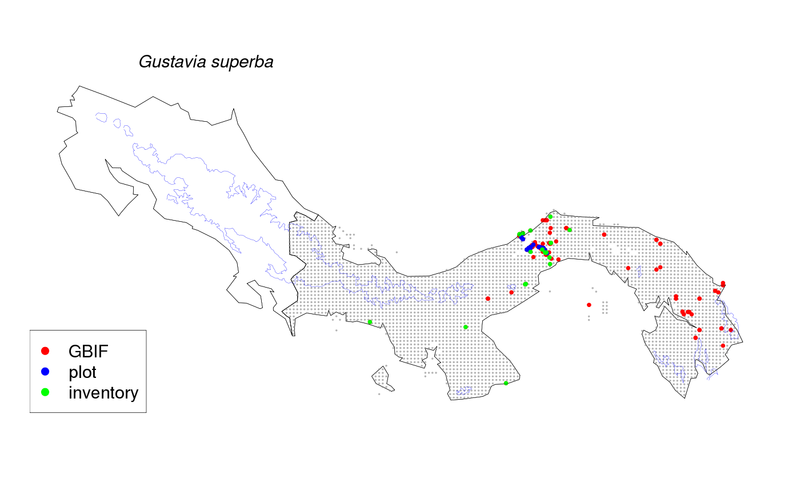 Indeed, a prominent publication in Science years ago was based on mis-identification of Cespedesia and Gustavia at Pipeline Rd. With a fallen leaf in hand, look closely at the leaf underside -- the smallest veins of Cespedesia are prominent and parallel, whereas in Gustavia they are inconspicuous and widely spaced. On the trees, Gustavia leaves tend to droop downward much more than Cespedesia leaves, some of which point upward, and new leaves of Cespedesia are conspicuously red, unlike Gustavia. 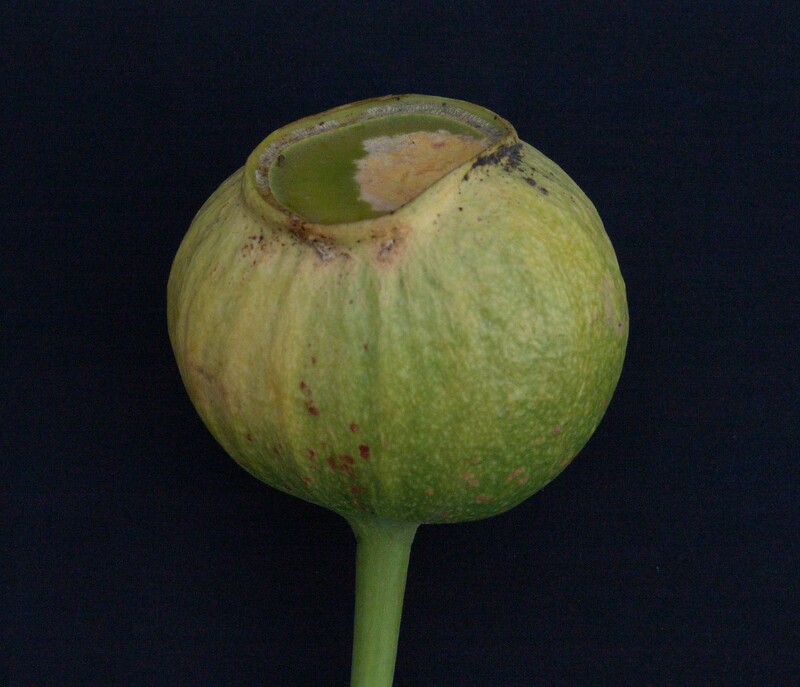 There are other relatives of G. superba in the area -- G. fosteri, G. dubia, and LK griaca Grias cauliflora.